PENSACOLA, FLA - Long known as the leader in the acrylic block window industry, Hy-Lite has seen strong decorative glass sales in 2015 and anticipates growth of those sales as the company enhances its niche as the "all purpose" privacy window company for the home. 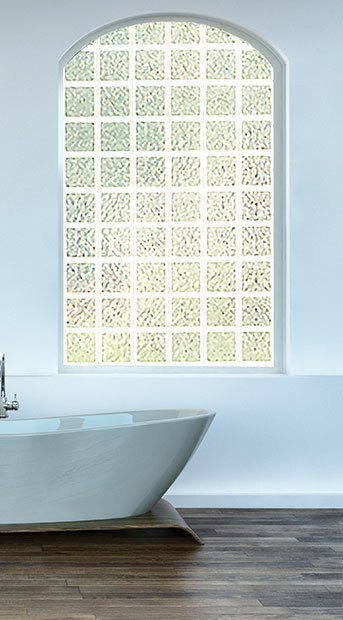 "Windows in the bathroom are for light, not for the view," says Roger Murphy, president of Hy-Lite, a U.S. Block Windows Company. "Today's homeowner wants privacy and style from their bathroom windows and we deliver both with our impressive selection of decorative glass, acrylic block and glass block windows." Murphy reports that the company has seen a steady increase in recent years of decorative glass window sales. "As builders look to differentiate their homes in the marketplace, they are embracing decorative glass window options," says Murphy. "And, they're getting creative with the placement of those windows. While the bathroom remains the most popular room in the home for decorative glass units, we're also seeing builders and remodelers install them in living rooms, dining rooms and kitchens. "These windows are being used as 'artwork for the room' in homes that are built close to neighboring houses. The privacy features of our decorative glass windows allow light in the home without giving the residents next door the ability to look into the house." For 2014, the most popular-selling decorative glass designs from Hy-Lite include the Victorian, Aurora, Craftsman and Oval styles of windows. Style trends research suggest that these unique designs will continue in their popularity in 2015, and will be joined by the company's Wrought Iron and Geometric Octagon designs. "2015 holds many opportunities for increased usage of both our decorative glass and acrylic block windows in the home," says Murphy. "To provide builders and remodelers with more options, we'll launch several new products throughout the year. These will all be first-class options for enhancing home designs with privacy products that meet the driving demand from homeowners for top-quality accent windows to set apart their homes." Hy-Lite, a U.S. Block Windows Company, is the leading manufacturer of acrylic block, glass block and decorative glass windows. The company's privacy product options include a acrylic block shutters, accent panels, radius walls, partition walls, door inserts and shower kits. Since 1988, the Pensacola, Florida-based company has been committed to providing residential and commercial construction professionals and homeowners with elegant, affordable privacy window designs. For more information, visit www.hy-lite.com.